This is about being outside and being conscious of our environment. I had the opportunity to meet with Jesse Patterson, the deputy director of Keep Tahoe Blue and the League to Save Lake Tahoe last week. 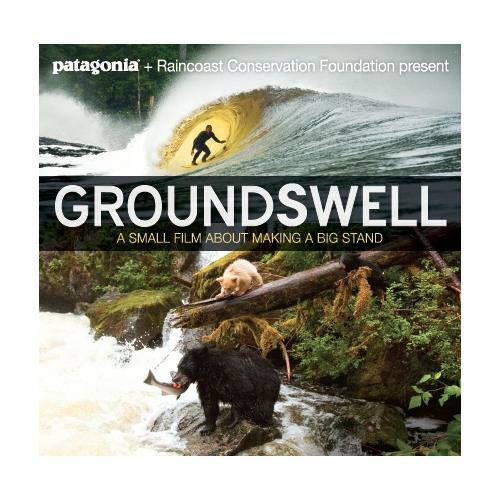 Patagonia and Camelback sponsored and organized a video premier called “Groundswell,” and the proceeds went to Keep Tahoe Blue. The premiere was at Moody’s in downtown Truckee. The video was made by Patagonia and followed one of the company’s surf ambassadors as they traveled down the coast of Canada surfing and understanding how a possible oil pipeline could destroy the habitats and ecosystems that live there. There is a local population of natives that live on the coast. Hearing their perspective of how the pipeline would affect them was inspiring. They have such a deep respect and close relationship with their environment (animals, rivers, plants, and ocean). They understand the flow of the ecosystem and are truly doing everything in their power to conserve the beauty around them. It was very motivating to see because I look to do the same thing for this area I have grown up in. My meeting with Jesse went very well and we were able to collaborate on how to increase knowledge and grow the membership of Keep Tahoe Blue. In future blogs I will be sharing their objectives for 2013 and how they progress as the leading group attempting to preserve the clarity and beauty of Lake Tahoe. With daylight savings kicked in and spring around the corner we are going to have some longer days and more sunshine. I personally will enjoy this by running and mountain biking outside. Share how you are going to enjoy the extra hour of daylight here! This entry was posted in Uncategorized and tagged Groundswell, Keep Tahoe Blue, Lake Tahoe, Patagonia on March 10, 2013 by joshvega. Welcome to my blog, where I will be talking about what I value, being outside and being conscious of the environment. This blog is out being outside and being conscious of the environment. My name is Josh Vega and my value is in the environment and this planet. I currently work at Patagonia and through my time with the company I have developed a desire to help protect the beautiful environment we live in. I am in the MBA Program at the University of Nevada, Reno. By combining my school and work experience with my love for nature, I will provide an opportunity for myself to be successful both in my career and helping those around me become more conscious of our precious environment. I smile. I sweat. I motivate. I live. Realistically and Beautifully.